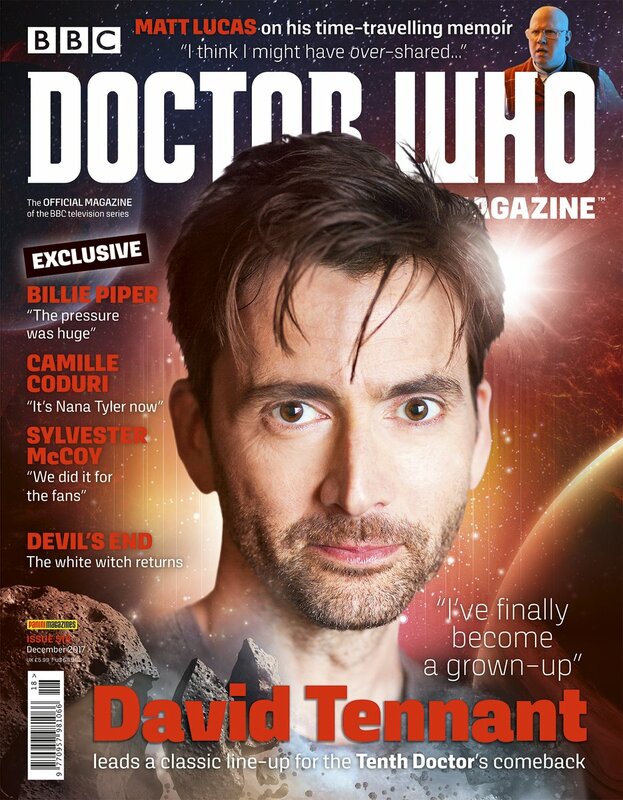 Issue 518 of Doctor Who Magazine chats exclusively to David Tennant and Billie Piper! “An audio recording’s very different to filming a bit of TV – but the vibe is the same, and the characters are the same.” – David Tennant. “It’s like when you hang out with an old friend who you haven’t seen for years, and then loads of stuff has happened between you, but it’s sort of just like you’re immediately there again. I love it.” – Billie Piper. We talk to Matt Lucas about his new autobiography, which he wrote while playing Nardole in the latest series of Doctor Who. Camille Coduri, who played Jackie Tyler, tells us what it’s like to be reunited with David Tennant and Billie Piper for more Doctor Who audio adventures. In the second part of our interview, Seventh Doctor Sylvester McCoy reflects on Doctor Who’s 50th anniversary and looks forward to the show’s future. We meet the people behind a DVD sequel to the classic 1971 story The Dæmons. The Time Team continues its mission to watch every episode of Doctor Who with 2011’s The Rebel Flesh.